We want to be the solution for all your Toronto, ON, HVAC contractor needs at Air Leaders Inc.. We provide emergency services on a 24/7 basis for all of our customers in the Markham, ON, area, because we are committed to customer satisfaction. Our professional, reliable technicians deliver punctuality, as well as prompt project completion, so you won't have to waste time waiting on us to arrive. We offer a variety of services to our Toronto customers, including general HVAC service, heating system repair and installation, air conditioning repair and installation, and boiler service. We want your home to be as comfortable as possible, and you can count on our licensed, insured, professionals to make that happen. We are a locally owned and operated company, and we will get the job done right the first time. 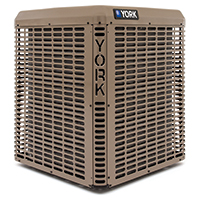 we are a Toronto, ON, HVAC contractor that will take care of all your repair, maintenance, and installation needs. Whether you need routine maintenance work or your furnace needs a new motor, you can count on us to fix all of your problems, no matter how large or small. Give us a call today if you would like to schedule an appointment, or if you would like more information in regard to the services that we provide to Markham, ON.